With the capital markets being so competitive in today’s finance environment, the highest degree of value a mortgage broker or banker can offer their client is surety of execution. Any experienced investor or intermediary knows that there are a number of issues that can arise to make a deal go sideways. Fortunately, solutions can be discovered and time, energy and money saved, by asking a few questions from the start – to both the borrower and the lender. 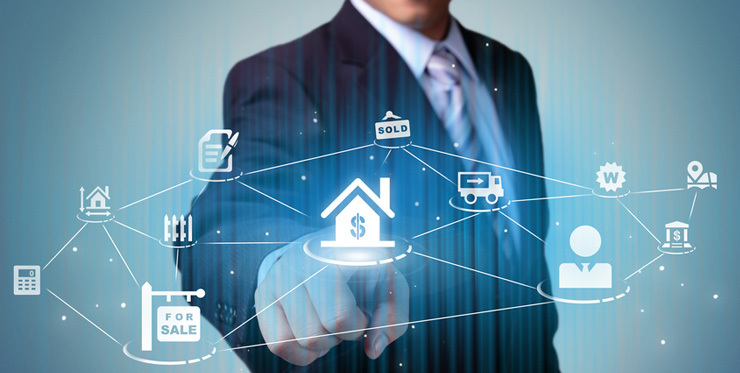 There are a number of basic, but very important, questions that should be asked by one’s mortgage broker during their initial conversation with their client in order to evaluate the requirement and ascertain the best capital source to meet the borrower’s investment goals and objectives. Borrowers should be weary if their intermediary is not asking the necessary questions up front since lack of information could lead to some very unwelcome surprises down the road. 1. What is the ownership structure and who comprises the borrowing entity? 2. What is the net worth and liquidity of the sponsorship? Whether it’s a recourse or non-recourse loan, acquisition, refinance, or new development, the sponsor signing the loan must meet minimum net worth and liquidity requirements set forth by the lender. These minimum requirements will vary by lender and transaction specifics, and can usually be met by one sponsor or a combination of whoever is signing on the loan documents. Lenders typically want to see a net worth equal to or greater than the loan amount and liquidity (cash, stocks, bonds, marketable securities) of at least 10% of the loan amount AFTER the down payment has been made. Construction lenders will often have higher liquidity requirements due to the likelihood of cost overruns that can arise during the construction process. 3. Is the borrower willing to sign personal recourse on the loan? Many borrowers prefer not to provide personal guarantees if they don’t have to. However, despite the seemingly abundance of non-recourse debt available today, however this preference may limit the lender pool or amount of loan dollars the lender is willing to provide on a specific transaction. The most common source of non-recourse financing is CMBS, HUD, Fannie Mae, Freddie Mac, and debt funds. Banks, credit unions, and life insurance companies can also offer non-recourse financing but typically at lower leverage – anywhere from 50% to 65% loan-to-value. 4. What is the borrower’s investment time horizon for the asset? With interest rates currently at all-time lows, many borrowers are opting to lock in long term fixed rates. If you are a long term investor then this may be the best strategy for you, however, if this is a shorter term investment, such as a value-add reposition, or if you want to leave the option open to sell in the future, then locking in long term fixed rate debt might not be the best solution since it usually comes with stiffer prepayment penalties and may not be assumable by a future buyer. I discuss this more at length in my previous blog titled: The Trap of Low Interest Rates: Ensuring Financing is in Line with an Investor’s Goals & Objectives, which I encourage you to read. 5. What are the Borrower’s hot buttons? This question might seem like the most obvious but many mortgage brokers do not ask because they think they know the answer through conversation with the borrower. This may be true, however, the answer is not always evident. That is why I very directly ask, “So what is most important to you? What are your hot buttons?” Is it the lowest interest rate? Highest amount of loan dollars? Prepayment flexibility? Term length? Non-recourse? Speed? Or perhaps it is a combination of these or none of these. The next set of questions relate to the lenders. If a mortgage broker or borrower has not worked with a particular lender in the past then these questions are crucial to ensuring a smooth and successful financing process. 1. What is the lender’s approval process? Having an understanding of the lender’s process is critical. Quite often lenders will issue loan quotes or term sheets that aren’t worth the paper they are written on. This can set the borrower up for what we in the industry commonly refer to as a re-trade (a reduction in loan dollars) down the road, or worse yet, a flat out denial of the loan altogether, leading to a lot of time, energy and money wasted. When an LOI or term sheet has been issued, has it been pre-vetted by credit or simply underwritten quickly by the banker or originator? At what point is a formal commitment or approval provided? Does this happen before third party reports are obtained or afterwards? How many people are involved in approving the loan? The more signatures required, the greater the possibility that one of the decision makers will not like something about the deal and reject it. I always ask if someone involved in the decision making process has seen the deal before terms are issued. Sometimes the loan committee is simply providing a rubber stamp by the time they see it, and sometimes they are being presented with all of the information for the first time. 2. How is the lender underwriting the transaction? Knowing how the lender underwrites allows the mortgage broker to quickly vet which lenders will be viable options up front. Lenders will often increase historical expenses by some percentage, such as 3%, or may adjust expenses (either up or down) based upon industry standards when they underwrite and calculate Net Operating Income. They may also use a higher interest rate than the note or coupon rate being offered or utilize increased debt service coverage ratios for stress test purposes. The results can often negatively impact the amount of loan dollars offered. 3. What 3rd party reports does the lender require? The most prevalent report for the vast majority of commercial real estate loans is the appraisal. Appraisals can be short or long form and are tailored to each lender’s particular parameters and requirements. A standard commercial appraisal will typically take 2 – 4 weeks to complete and can cost as little as a couple of thousand dollars or over $10,000 depending on the complexity of the transaction. Appraisers can provide “as is” values or “as stabilized / as complete” values if there is a renovation or stabilization component. The second most prevalent report is a Property Condition Report (PCR) provided by a structural engineer. The findings contained in a PCR can lead the lender to hold back loan dollars for repairs to the property which may or may not be in the borrower’s existing budget. This may cause the borrower to have to procure additional equity to close the transaction and may present a problem if those funds are unobtainable. A Phase I Environmental Report may be required, especially if the property is located near a gas station, laundry mat, waste disposal facility, or if a prior use of the property leads the lender to believe that there is a possibility of contamination at the site. Finally an ALTA Survey may be required by the lender or Title Company in order to provide proper title insurance. 4. What are the fees associated with the loan? Typical fees include: origination, processing, underwriting, administrative, credit check, legal and application fees. All of these fees can add up quickly, especially lender legal. Sometimes lender legal and 3rd party costs are covered by the application fee but sometimes these costs are additional. Lender legal fees can be the biggest variable and it should always be known if this cost will be passed through to the borrower and what they typically run on an average transaction. Lender legal bills offer borrowers the most exposure to expenses that are completely out of their control and can add up to hundreds of thousands of dollars. In conclusion, surety of execution for any commercial real estate loan can be increased drastically by asking the right questions at the beginning of the process to both the borrower, as well as the lender. By following the suggestions above, a lot of future pain can be avoided.